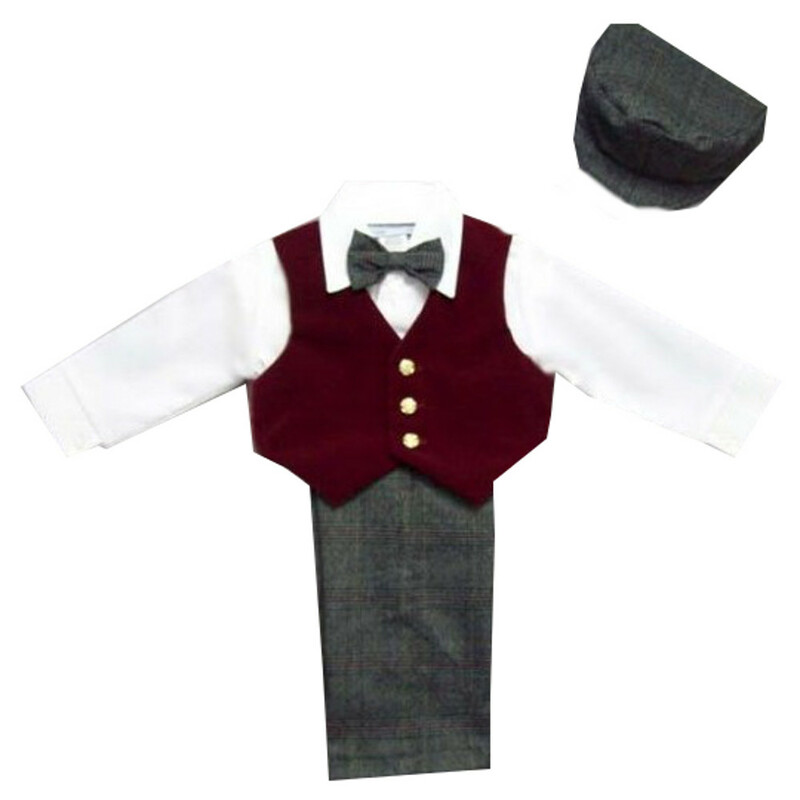 This handsome 5 - piece set includes a burgundy velveteen lined vest, gray plaid pants, bow tie and hat, plus a white dress shirt. The pants have an elastic back. Cotton / poly shirt. Polyester pants. If child is in-between sizes size up. Machine wash gentle (velveteen vests not to be dry cleaned). Made in US.